Any advice on mounting the iron V6 into A bodies? Lovedthe A-518 swap, by the way. With one rather large exception, it would be little different than asmallblock V-8 swap. The difference comes in because the 3.9 doesn’t haveengine mount “ears” like the 318 and 360, instead it has bosses on the sideof the block. 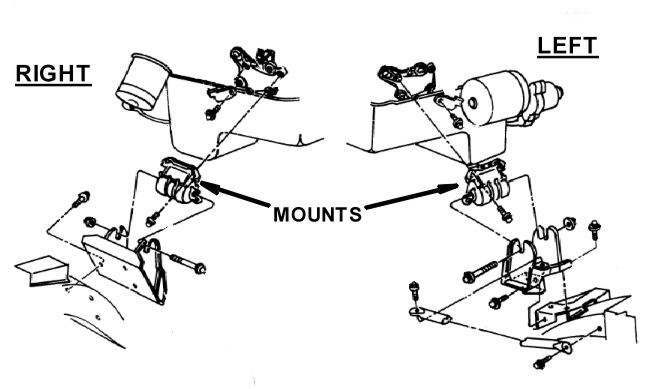 (This same mounting system revision was also made to the 318and 360, but not until 1995). And, to date, the aftermarket hasn’t come upwith any adapters to handle this problem, so, hopefully, you’re a handy guyaround a mig welder. Beyond that, it should be pretty straightforward – longer radiator hoseswould be the only other significant thing I can think of. Might be a nice swap, too – the center of gravity would be moved rearward bya significant amount.